A new technology experience has arrived in Manchester with the launch of a purpose built space for people and businesses to shop, learn, share, create and collaborate. 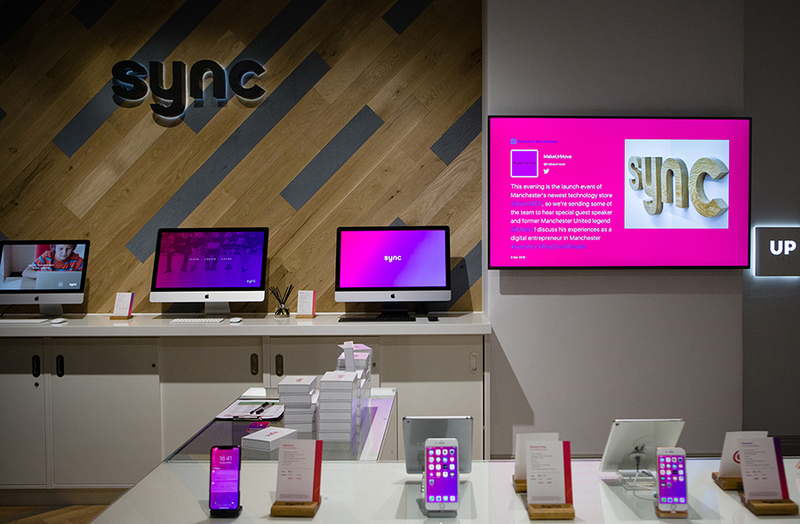 Sync is the ultimate technology hub and the new home of all things Apple, located right in the very heart of Manchester city centre in Barton Arcade, Deansgate. Offering the very best in Apple products, along with other leading tech brands, Sync’s friendly team of knowledgeable experts, who have over 25 years of experience, provide a range of services, including walk-in and pre-booked repairs. With regular training and seminars from leading tech professionals, and a co-working space, combining a well-equipped meeting room and a cosy snug, Sync enables people to connect and work effortlessly with other tech and business professionals all under one roof. Sync is powered by GBM Digital Technologies, the largest Apple Service Provider in the North. In the last two years, they have been the largest Apple Authorised Reseller based on revenue and are also in the Top 20 of the Tech Track Top 100 Fastest Growing Companies in the UK. Chris Costello, director of GBM said: “As GBM, we have been working with small businesses, multinationals, schools and creatives to provide great Apple solutions and services for over 25 years. We felt it was time to build on our foundations to bring our technology expertise to consumers, giving them access to the latest technology, underpinned by experts who genuinely know their stuff. The store officially launched on Thursday 8th March, and guests were treated to an exclusive audience with Manchester United legend and leading digital entrepreneur, Gary Neville. On the night, he shared his vision for the tech sector in Manchester and answered questions from the audience on his thoughts on the future of technology in Manchester. For further information on Sync, please visit www.sync-store.co.uk.